Sachin Tendulkar is one of the greatest cricketers and batsmen of all time. Regarded as the "God of Cricket" Tendulkar is considered as one of the greatest cricketers of all time. Sachin has many records to his credit as a cricketer. He is the only player to have scored one hundred international centuries. He is the first batsman to score a double century in a One Day International. He is the only player to complete more than 30,000 runs in international cricket. The government of India awarded him with the Bharat Ratna for his contribution to the world of cricket. Anjali, a paediatrician and the couple have two children. Sachin was nominated to Rajya Sabha by the President of India and became the first active sportsperson and cricketer to have been nominated. During his school days Sachin would show much interest in cricket and would play the game extremely well. During these days Sachin played school cricket and club cricket. On 14 November 1987 he was selected to represent Mumbai in the Ranji Trophy for the 1987–88 season. On 11 December 1988 Tendulkar made his debut for Mumbai against Gujarat at home and scored 100 not out in the match which made him the youngest Indian to score a century on debut in first-class cricket. In 1992 Sachin became the first overseas-born player to represent Yorkshire. Tendulkar made his Test debut against Pakistan in Karachi in November 1989. He went on to represent Mumbai domestically and India internationally for close to twenty-four years which saw the player never looking back. He scored his first ODI century on 9 September 1994 against Australia in Sri Lanka at Colombo which continued later in his cricket career. His rise continued when he was the leading run scorer at the 1996 World Cup, scoring two centuries. Sachin in his cricket career has consistently done well in Cricket World Cups. He was the highest run scorer of the 1996 Cricket World Cup and also of the 2003 Cricket World Cup. After his century against England during group stages of 2011 Cricket World Cup Sachin became the player to hit most number of centuries in Cricket World Cups with six centuries and the first player to score 2000 runs in World Cup cricket. He was the Player of the tournament in 2003 Cricket World Cup. Tendulkar has won a record 15 Man of the Series and 62 Man of the Match awards in ODI Matches. 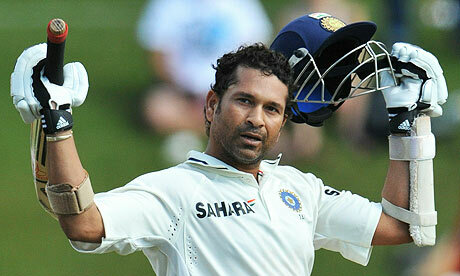 Tendulkar announced his retirement from One Day Internationals on 23 December 2012. Later he retired from IPL too. He retired from Twenty20 cricket after playing the 2013 Champions League Twenty20 in 2013. On 10 October 2013 Tendulkar announced that he would retire from all cricket. During his sports career Sachin made many records to his credit. He is the only player to have scored one hundred international centuries. Sachin is the only player to score fifty centuries in Test cricket and the first to score fifty centuries in all international cricket combined. Sachin holds the world record for playing the highest number of Test matches and ODI matches. He is the only player to complete more than 30,000 runs in international cricket. He is the first batsman to score a double century in a One Day International. He is the 16th player and first Indian to aggregate 50,000 runs or more in all forms of domestic and international recognised cricket. Tendulkar played 664 international cricket matches in total, scoring 34,357 runs. In 1994 Sachin Tendulkar received the Arjuna Award for his outstanding sporting achievement. He received the Rajiv Gandhi Khel Ratna award in 1997. In 1999 he received the Padma Shri and in 2008 he received the Padma Vibhushan award. In 2014 Sachin was honoured with India's highest civilian award the Bharat Ratna. In 2010 he was awarded the ICC Cricketer of the year, the highest award in the ICC listings. Sachin also won the 2010 Sir Garfield Sobers Trophy for cricketer of the year at the ICC awards. Tendulkar was nominated to the Rajya Sabha in 2012. 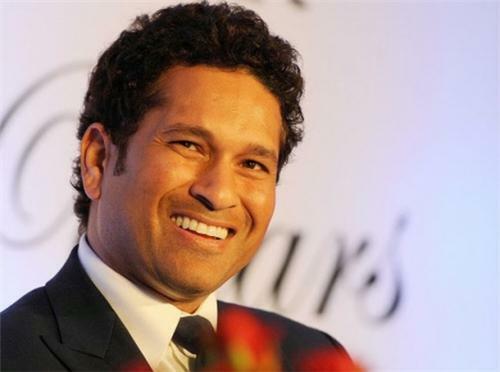 Sachin was also the first sportsperson and the first person without an aviation background to be awarded the honorary rank of group captain by the Indian Air Force.He was named an Honorary Member of the Order of Australia in 2012.